Is there a bathroom remodeling project in your future? The winter is an ideal time for home remodeling, because contractors are more readily available. Now that the holiday rush is finally over, it’s the perfect time to invest time and money into your house. Bathroom updates are perfect because they will enhance your daily life and also increase the value of your home. There’s a lot you’ll need to keep in mind when preparing for your Robinson bathroom remodeling project, including finding a reliable contractor. Once that’s done, here are several questions you should ask yourself while designing your new space. 1. Is the bathroom private or used by guests? Unlike kitchen remodeling, it’s important to remember that different people use different bathrooms in your home. Knowing whether you’re focusing on a guest bathroom or the master bath will greatly influence your design choices. 2. How much personal space is necessary? Consider whether you want to include personal storage space into your Robinson bathroom remodeling project. Extra cabinets and a closet will require adjustments to your layout. 3. What size countertops would be ideal? Everyone has different preferences regarding the size of their countertops. When making plans for your Robinson bathroom remodeling project, let these preferences affect your cabinet and countertop designs. Ready to Start Your Robinson Bathroom Remodeling Project? 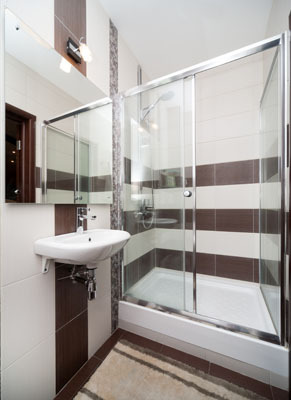 Are you ready to start you bathroom remodeling project in Robinson? Don’t put off designing the bathroom of your dreams. At DreamMaker Bath & Kitchen of Waco, Texas, we can help plan your renovation. We offer a wide variety of renovation and contracting services, but specialize in both bathroom and kitchen renovations. For more information about our company and our free consultation offer, visit our website. Want to schedule an appointment? Call (254) 218–3270 to begin discussing your Robinson bathroom remodeling project with a highly-trained and experienced contractor today.